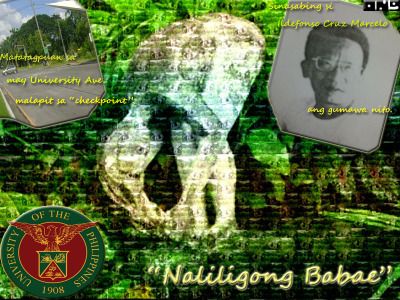 These are projects for my teacher, Dr. Eloisa May Hernandez. 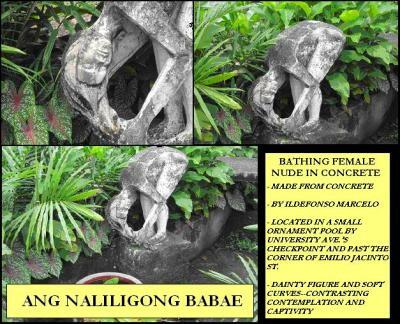 Hope this inspires you to find art around us 🙂 The photos are linked to the original URL. 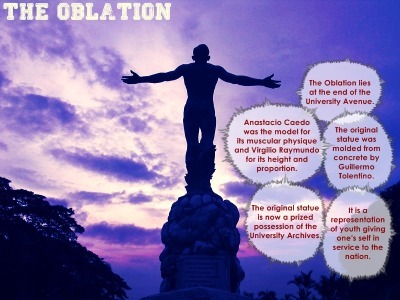 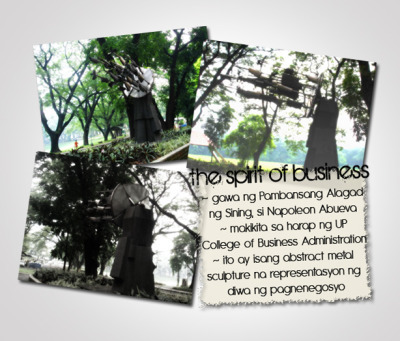 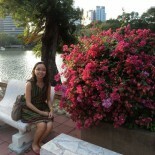 To find more, please check out Dr. Eloisa May Hernandez Tumblr account here. 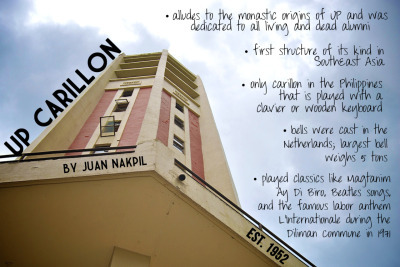 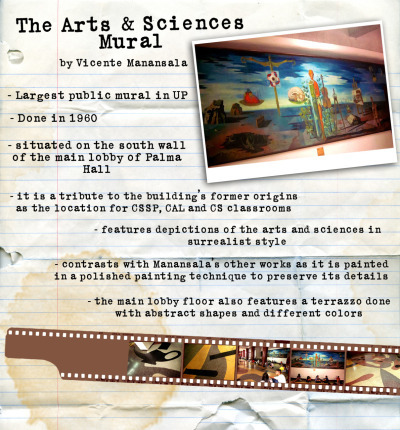 UP Carillon and Arts and Sciences Mural Artwork by: Kirby Cheng, Albert Hamor, Diego De Los Angeles, and Arianne Francesca Libunao project for Art Studies 2, Art Around Us Prof. Eloi Hernandez, Ph.D.
Rajah Soliman was made by Anastacio Caedo in 1987. 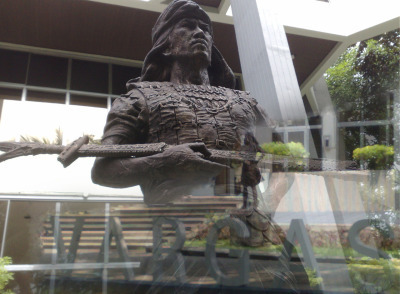 It is found in front of the Vargas Musuem. 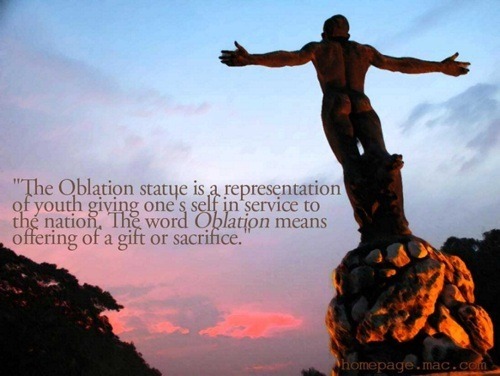 The sculpture of the Maynilad ruler, in his native armor, is posed in a parade rest holding a kris in one hand. 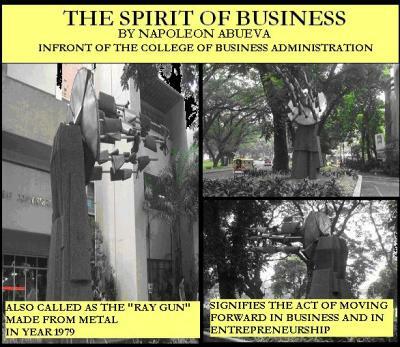 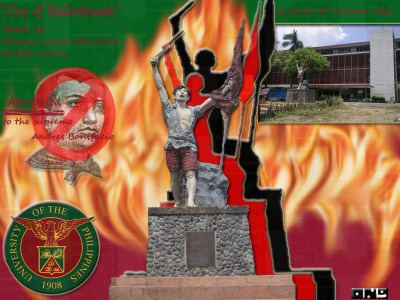 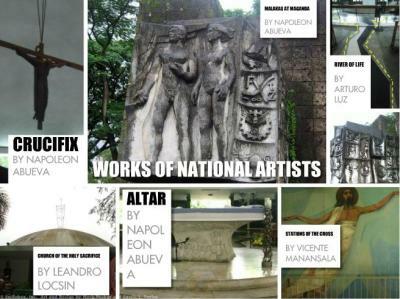 (Submitted by group 4, THV) project for Art Studies 2, Art Around Us Prof. Eloi Hernandez, Ph.D.
Naliligong Babae “by” Ildefonso Marcelo Submitted by: Anical, Mariscal, Ong, Tolentino project for Art Studies 2, Art Around Us Prof. Eloi Hernandez, Ph.D.
Cry of Balintawak by Ramon Martinez (1905-1911) Submitted by: Anical, Mariscal, Ong, Tolentino project for Art Studies 2, Art Around Us Prof. Eloi Hernandez, Ph.D. 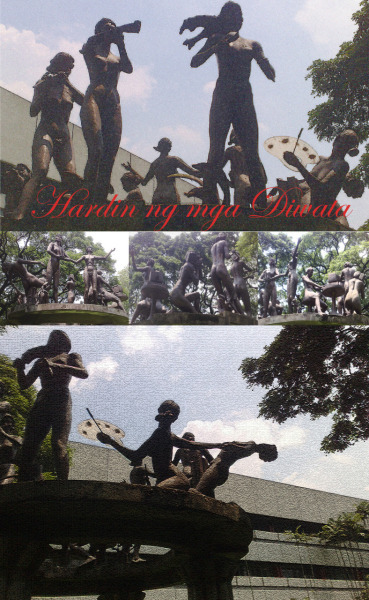 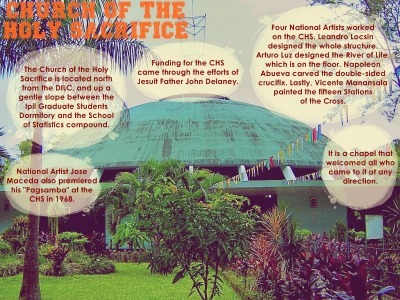 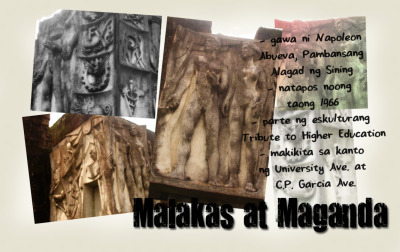 This entry was posted on July 22, 2011 by Portia Placino in Art Appreciation Class, Art History Class, Philippine Art, St. Scholastica's College and tagged Anastacio Caedo, art around us, art in everyday life, art in up, Napoleon Abueva, Parish of the Holy Sacrifice, Philippine Art.